Dungeon Level 2 and 3! Finished work on multiple dungeons mechanic, and for testing I integrated dungeon level 2 and 3, but the game is reset again, old saves will be lost.. There was no work around unfortunately. 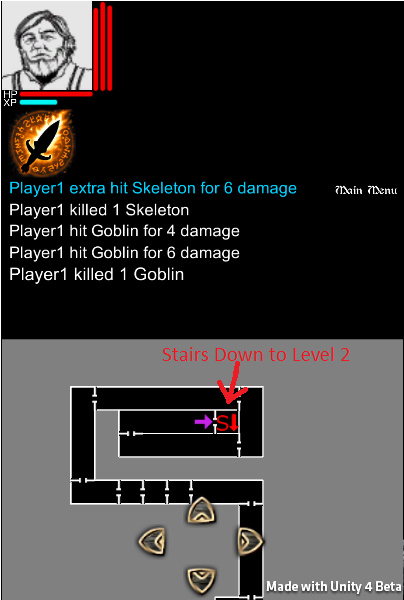 The dungeon level 2 and 3 looks the same as the first dungeon for now, there is no random generation of dungeon yet, and it’s hard work to implement it manually. Enemies are the same but they increase in life and power as you go deeper in the dungeon. (There will be new enemies on level 2 and 3 later). Their life and damage is multiplied by the dungeon level number, so on level 2 enemies have double life and damage, and on level 3 they have triple life and damage. Each dungeon level saves the enemies separately from other dungeon levels. Haven’t tested it yet, but I guess your characters will need to be around level 10 to go to dungeon level 2. 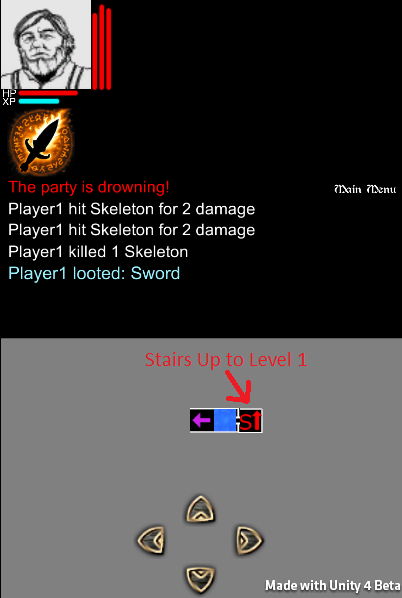 Next thing is to make the dungeon level 2 and 3 different from level 1, and to integrate the new enemies.